MANILA, Philippines - Malacañang Palace through Proclamation Nos. 379, 385, 387 and 390 series of 2017 declared January 4, 5, 10 & 16, 2018 as special non-working days at selected areas due to celebrations of various important events. Special non-working holidays are specifically declared on the following dates for their celebration of respective occasions. Proclamation No. 379 - Special non-working day in the Municipality of Naujan, Oriental Mindoro on January 4, 2018 (Thursday) for the celebration of its 113th Founding Anniversary. Proclamation No. 385- Special non-working day in the Koronadal City on January 10, 2018 (Wednesday) for the celebration of Koronadal's 78th Founding Anniversary and 18th "Hinugyaw Festival". Proclamation No. 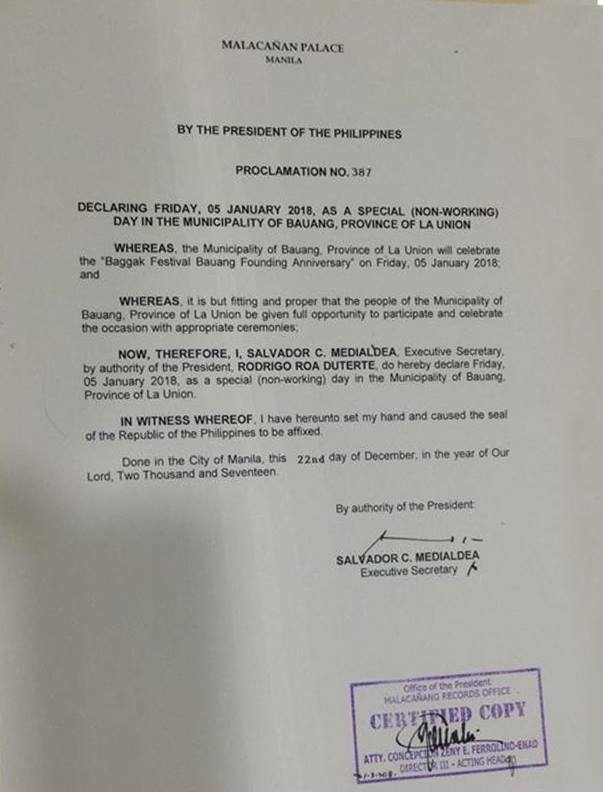 387 - Special non-working day in the Municipality of Bauang, Province of La Union on January 5, 2018 (Friday) for the celebration of "Baggak Festival Bauang Founding Anniversary". Proclamation No. 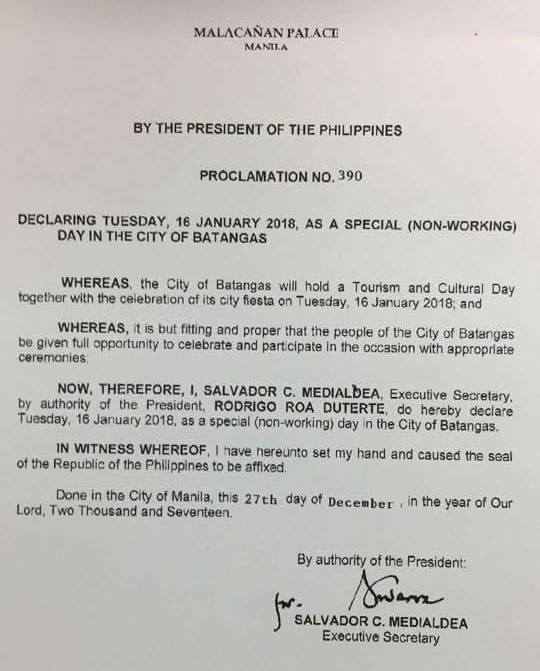 390 - Special non-working day in the City of Batangas on January 16, 2018 (Tuesday) for the celebration of its Annual Fiesta. 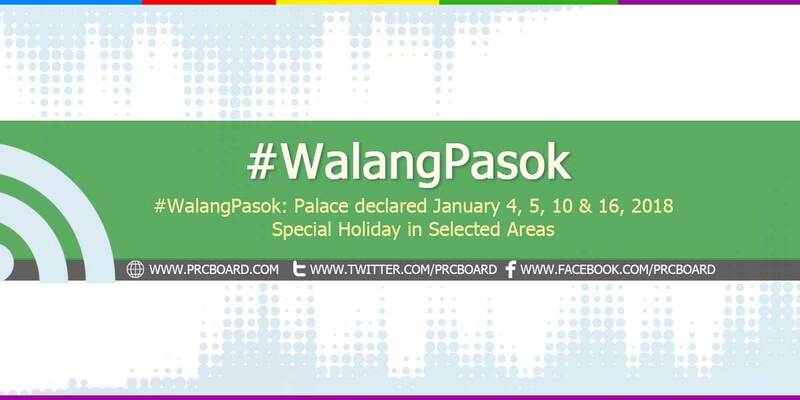 Palace said that it is but fitting and proper that the people from above-mentioned cities be given full opportunity to celebrate and participate in the occasions with appropriate ceremonies.